University Institute of Vocational Studies and Skill Development Centre-Rani Durgavati Vishwavidyalaya, Jabalpur M.P. Recently University Grant commission had sanctioned job oriented Vocational degree courses (B.Voc.) which is being run from the Academic session 2016-17. Medical Laboratory Technology is an Allied Health Specialty Course concerned with the diagnosis, treatment, prevention and cure of disease through the use of Clinical Laboratory Test. Medical Laboratory Professionals play a critical role in collecting the information needed to give the best care to an ill or injured person. The Building Construction Technology Course provides you with the expertise needed to efficiently guide a construction project or business. You'll gain the technical proficiency, the financial knowledge, the entrepreneurial skills, and the business acumen needed for success in this ever-evolving industry. We provide training to our students with our industrial partners. Candidates after completing their Certificate/Diploma/Degree course becomes able to join Govt./ Non Govt. organizations for jobs or they can start their own business. If they want, they can join master courses in the same stream after obtaining bachelor degree. The R.D. University has been identified under the National Services and Skill Development Scheme (NSSDS) to run various skill development courses in coordination with Tata Institute of Social Science, Mumbai on the initiative of Ministry of Youth Affairs and Sports, Govt. of India, New Delhi as pilot project study for 2013-2016. In this pilot phase three centres located at Dindori, Lakhnadoun and Mandla had been selected to impart the vocational training mainly targeting the students from SC,ST and OBC population. The training programme will commence from June, 2013 to train 3000 students in this initial phase. The TISS representative has already been arrived in the university to initiate the activities. At the initial stage, the NSSDS will specially focus on the courses viz. (a) Computer Literacy, (b) English Communication, (c) Soft skills, (d) Financial Literacy, (e) Skill in working with community. There will be 20 credits for certificate courses and 40 credits for Diploma level courses. After successfully completion of the courses, the student will get certificate/diploma jointly from the R.D. University, Jabalpur and TISS, Mumbai. A workshop on "Gemology and Jewellery Design" organized on Sept. 12,2014. The R.D. 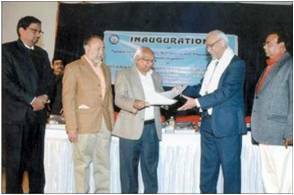 University in collaboration with Tata Institute of Social Sciences (TISS), Mumbai inaugurated National University Student Skill Development (NUSSD) Programme on January 20,2014. 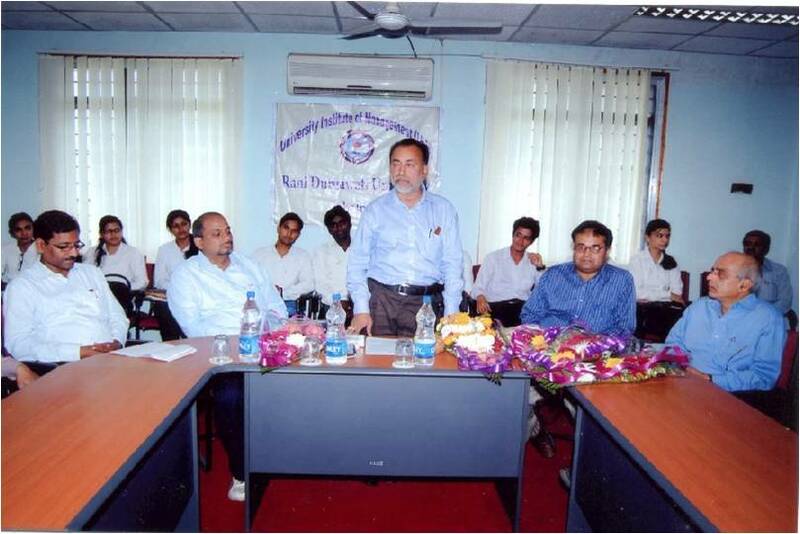 The centre conducted a workshop on “Skill Development and Career Opportunities” on March 16,2013, first time in the state of Madhya Pradesh. Dr. Aditya Lunawat, Director, Swami Vivekanand Career Guidance Cell, Indore, was present as Chief Guest of the function. Nearly 200 participants including young teachers were present in the workshop. The centre conducted a workshop on “Employment Generation through Entrepreneurship Development” on April 26-27,2013. Nearly 200 participants including young teachers were present in the workshop.